The barely 2 months old Samsung Galaxy S4 non-LTE version (9500) has gotten a massive price cut of RM349. Launched at RM2,199 with 16GB storage, the Samsung flagship device is now priced as low as RM1,850 outright for official Samsung Malaysia units. The 5.5″ Galaxy Note II is even affordable now at only RM1,680, making it quite an attractive buy. For a flagship device to drop this much in such a little time is rather shocking. Another retailer IPMart has also dropped its Galaxy S4 pricing as well to as low as RM1,869. In the mean time the recently rolled out Galaxy S4 4G LTE version (9505) with 32GB of storage is seen to be slashed as well to RM2,299 from its initial RM2,499 pricing. Thanks @abdulmj for the heads up. Could this be an indication that more Galaxy models are coming to Malaysia? We won’t be surprise considering the Galaxy Mega, Galaxy S4 Active and Galaxy S4 Zoom are expected to make a local debut soon. 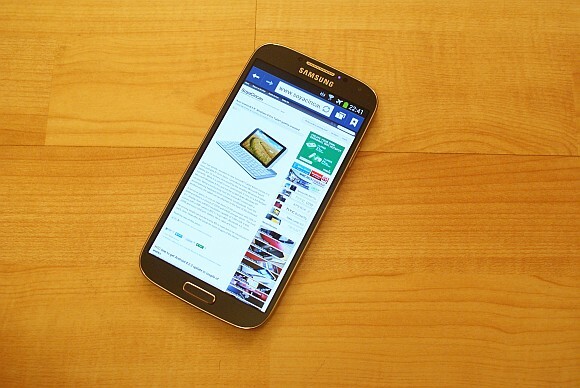 Perhaps the rugged Galaxy S4 Active would be priced between the S4 non-LTE and 4G LTE version. With a water resistant credentials and LTE support, that might just demand a slight premium over the standard non-LTE S4. For those waiting for the Galaxy S4 and without the need of LTE, the RM349 savings definitely certainly worth the wait.